I have to admit that this post was really hard to write. Not because of the delicious Stonyfield Oh My Yog! yogurt or because of the cozy prAna Rochelle sweater, but because I wasn’t really sure how I defined myself. It definitely helped me to pause and take some time to get to know myself. Picking out clothing from the prAna website was time consuming because there were so many awesome things to choose from and because I wasn’t sure how things were going to fit. I definitely have a lot of body issues and none of the models on the site really had my mom-body type. After some time, though, I settled on a much needed sweater for the cooler weather. The Rochelle sweater was definitely something I would consider my style. It had a cowl neck – perfectly warm without having to add a scarf and not restricting like a turtleneck. I also loved the contrast color sleeves and the relaxed fit. It definitely needs a tank underneath since it’s a bit sheer, but it was a perfect top layer for the cooler weather and I didn’t feel too hot wearing a lightweight down jacket over it. The relaxed fit was just right to hide the mom-body spots I’m still working on. The only thing I didn’t like too much was that it got wrinkly pretty easily. on time! 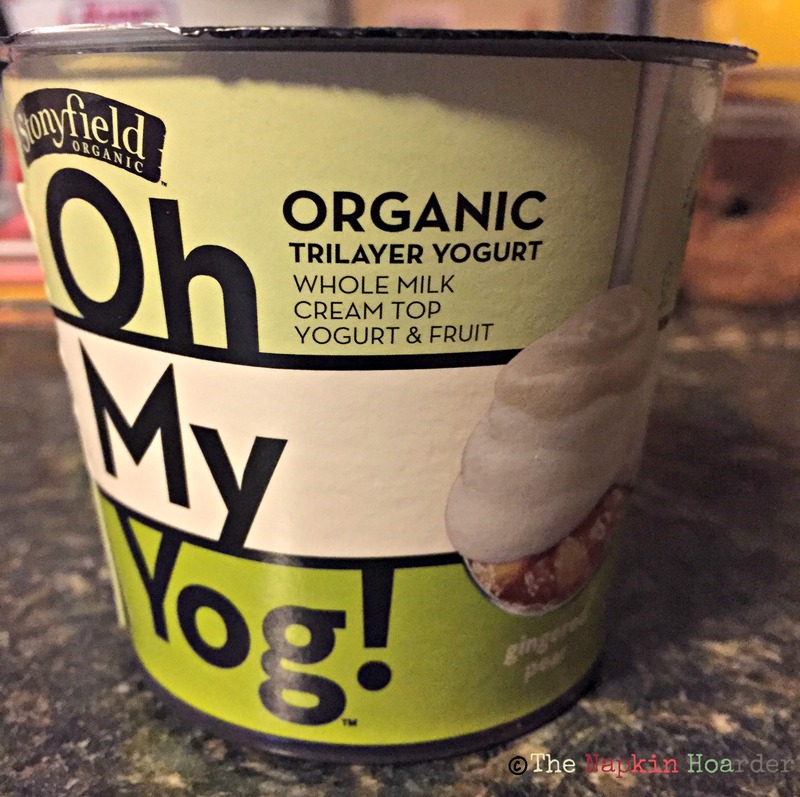 My go-to breakfast lately has been the luxurious Oh My Yog! yogurt, especially the gingered pear flavor. As a working parent, I find myself rushing around to get everything done in a limited amount of time and I often forget to eat a healthy breakfast and/or lunch. Oh My Yog! is filling, yummy, not too sweet and gives me a nice boost of protein to get my day going. And if I miss lunch, it’s the perfect in-between lunch and dinner snack. I also realized that one of my favorite spots to be is my kitchen. It’s the hub of our family and a big part of who I am. One of the ways that I express my love and care for my family, or anyone who comes to our home, is with a well-stocked fridge full of fruits, cheese, Stonyfield yogurt, drinks of all kinds and various snacks or leftovers. It’s a part of me being me – you won’t be hungry if you are with me! Another big part of me is social media. I’m fortunate enough to be able to have a job (actually two jobs!) where I can work from home. It gives me great flexibility, but it can also be a bit isolating and lonely at times. Social media helps me to feel like I’m working in the midst of a whole bunch of co-workers and also gives me some of the “water cooler” times. It’s also the way that I connect with my co-workers and offers another method of communication beyond emails and phone calls. I love my virtual office because it’s a global one. Living life with the best prAna sweater – warm, cozy and a perfect layer for a busy working mom. The other part of my life that has a lot of my brain space is trying to be more active and eat healthier. One of the things that really appealed to me about prAna clothing was that it reminded me about my fitness and healthy eating goals. The clothes made me feel good about how I looked and also made me feel so comfortable. I wasn’t thinking about the clothes I was wearing or about sucking in my gut, but I could focus on what I was doing and on moving around comfortably. I’m looking forward to also checking out their yoga clothing line as I continue to expand my fitness routines. The past few weeks have helped me to get to know myself – as a working parent, a wife, a friend, a blogger and as a social media lover. I’m a connoisseur of comfort because I want people to feel that way when they encounter me – comfortable, unrestrained and at home. It shows in my clothing (yes, you can be stylish and comfortable!) and it shows in what’s in my fridge. So thank you prAna for giving me comfortable and stylish options and thank you Stonyfield for 6 ounces of luxury that I can spoon out – even on the go. How do you #JustBeYou? To help you get to know yourself and to #JustBeYou, I have a discount code for you to prAna AND one lucky reader will win their choice of clothing from the prAna Organic line (up to a $99 value). Use the code JBYF15NH for 15% off at prAna.com – valid from now until December 15, 2015. By the way, this is not valid for influencers, on Gift Certificates or with any other offers. Don’t forget to enter the giveaway below to win your choice of clothing from prAna! I have been working on how to define myself. I am currently in a place where I am examining all my roles in life: wife, mom, business professional, blogger, mental health advocate, LTYM co-producer, and volunteer. 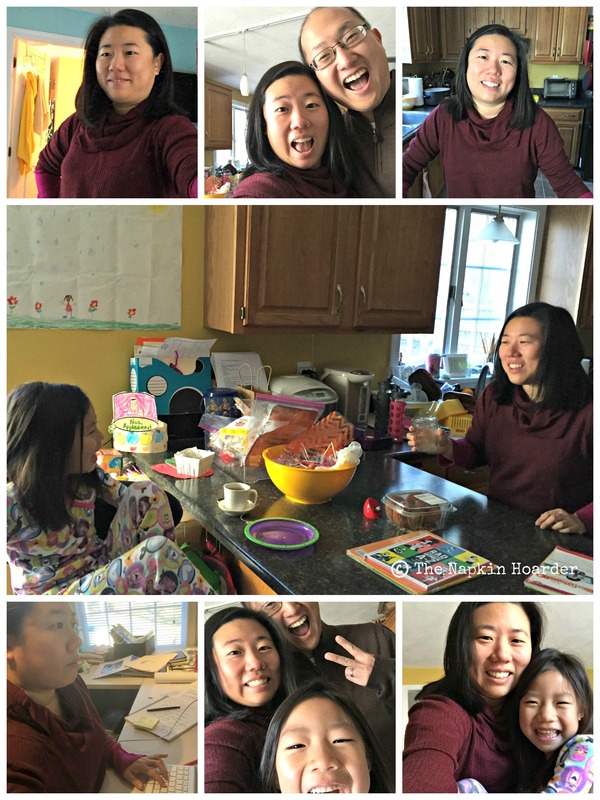 I am working on how to define myself and pivot into a space where I can combine some of these roles without sacrificing self-care time and time with my family. I would love the Nadia dress. I want the jada jeans! I am loving that sweater you have on. I even went and looked at some of the other sweaters. This one still wins. So comfy looking! I love the Marin Pullover Top. I love that it’s made from recycled material. I would love to get the Cantena Top! I really like the Stella pants. You look good in that sweater – I think it would look good on me, too, so I’d want that one! Love that color! I’m digging their dresses, over some tights. The freya knickers in black!